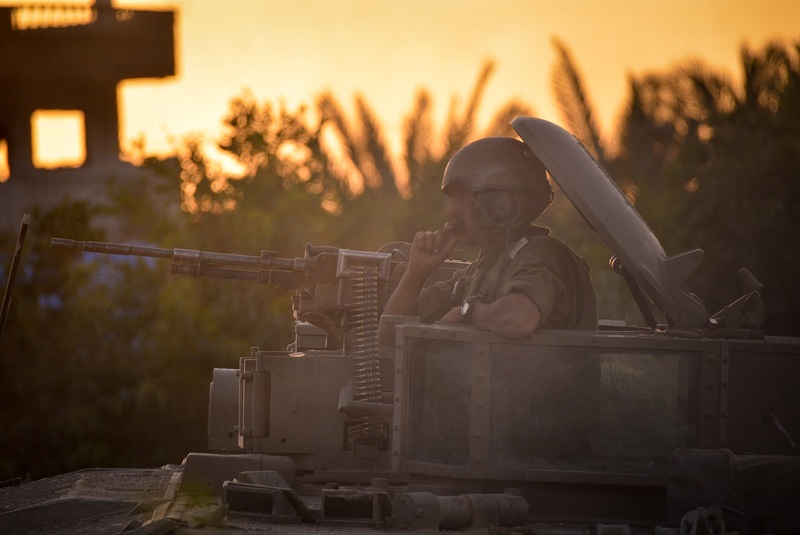 Was Operation Protective Edge conducted legally? And what does the public response to the conflict say about our understanding of military ethics? It did not sound right. By inflating the total number of those killed in 2014’s Operation Protective Edge by a factor of nearly five, and the estimated number of civilian dead by almost double that again, Sanders demonstrated something more than mere ignorance of international affairs: That such a horrifying death toll should strike him as not just plausible but accurate enough to repeat betrayed his prejudices regarding Israel’s supposed capacity for callous brutality. In a subsequent interview with CNN’s Jake Tapper, Sanders conceded that he had misstated the casualty figures, but stuck to his accusation of indiscriminate force, as if the rather large difference between 10,000 and roughly 1,000 were neither here nor there. “Was Israel’s response disproportionate? I think it was,” he continued to insist. In fact, the one point on which Sanders was correct is his claim that he is not alone in his general assessment of Israeli military conduct. During the conflict, various journalists and human rights groups accused Israel of violations of international law that amounted to war crimes. Following the Sanders interview with Tapper, Asher Schechter wrote a column for the Israeli left-wing newspaper Haaretz defending Sanders’ accusation of “indiscriminate force” and citing a report by Israeli NGO Breaking the Silence alleging that Israel had made use of what Schechter called “extremely permissive rules of engagement” during the conflict. That Sanders had massively exaggerated the number of causalities was of only parenthetical importance. Although the approach might be perceived as leading to a pro-Israeli bias, the sole purpose of the project was to examine Israeli targeting systems, processes, and norms in the abstract; no attempt was made to assess targeting during any particular conflict or the legality of individual attacks. Ultimately, Merriam and Schmitt concluded, “Israel’s positions on targeting law are consistent with mainstream contemporary state practice.” This runs counter to almost every media report about the Gaza conflict. The reasons for this conclusion are worth reviewing, not least because they reveal the alarming degree to which terms like “indiscriminate” and “disproportionate” are being misunderstood and/or misused by many of the journalists and NGOs reporting on alleged international law violations by Israel. Such misunderstandings corrupt the views of politicians like Sanders and sow confusion among the wider public. The implications of this extend far beyond the local conflict in the Middle East. Distinction requires that parties to a conflict not only distinguish between enemy combatants and the civilian population, but also clearly distinguish their own civilian populations and military targets. Both sides of the distinction principle serve the same purpose—to allow armies to engage one another without civilians being caught in the crossfire. In an attempt to deny military advantage to those who would put their own citizens at risk by operating from within protected structures and populations, international law further stipulates that a civilian object (e.g., a hospital or school) forfeits its protected status and becomes a legitimate military target for as long as it is used in whole or in part for military purposes. Proportionality may be one of the most widely misunderstood principles of international law. Many war correspondents, columnists, pundits, and NGOs seem to think it refers to discrepancies in body counts and infrastructure damage. This idea is clearly nonsensical, as it implies a state that has invested in defense systems and shelters for the protection of its own civilian population should be required to compromise its ability to defeat a poorly defended enemy. It further implies that the only legitimate military tactics are those that result in a comparable number of casualties on both sides, which is a recipe for an unending bloody stalemate. Precaution requires an attacker to do whatever is “feasible” to verify the military status of targets and take precautionary steps to minimize collateral damage, such as issuing evacuation warnings “unless circumstances do not permit.” If providing advance warning to civilians in or near a strike zone is not practical, anticipated casualties must be factored into proportionality assessments. In their examination of Israel’s compliance with these three principles, Merriam and Schmitt provide a close analysis of IDF air targeting processes. IDF air strikes are planned and coordinated centrally, and each target is subject to a process of continuous scrutiny and review. This begins when the target is selected and continues right up to the moment a strike is ordered and the weapon released. The target’s military status and the strength and reliability of available intelligence are continually reassessed. “Dead space” around the target is identified in case a missile needs to be diverted at the last moment. And a detailed “weaponeering” process is conducted during which munitions experts and engineers advise on how best to maximize a strike’s military efficiency while minimizing the likelihood of collateral damage. Once a decision is taken to strike a target, final verifications are obtained and, where feasible, evacuation warnings are issued to protected persons at risk in or around the strike zone. Following execution of a strike, the reliability of intelligence and the accuracy of targeting are reappraised so improvements can be made and “lessons learned” where necessary. 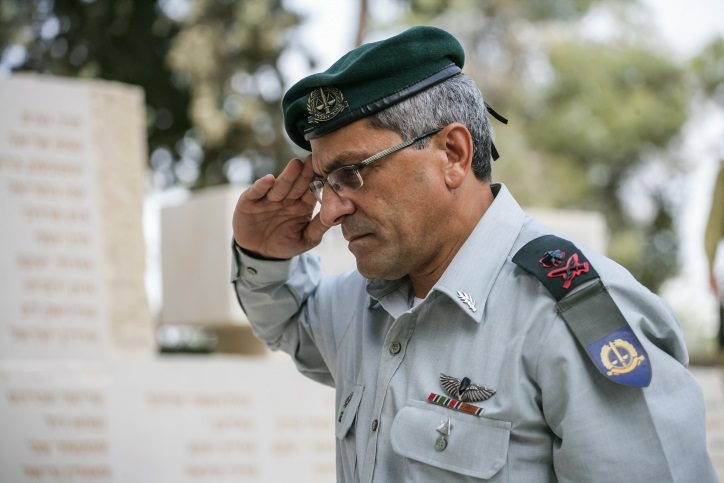 Very few countries have as high a ratio of military lawyers to soldiers as does Israel, subjecting every stage of this process to intense legal scrutiny and review by the Military Advocate General Corps—a body of around 1,000 military lawyers and international law experts led by a Military Advocate General (MAG). This does not, of course, preclude alleged violations of international law from occurring. They may be caused by human error, misjudgment, uncertainty, negligence, faulty intelligence, or malice. In such cases, MAG Corp officers advise the MAG on whether or not to proceed with a criminal investigation. In the event of an indictment, MAG Corps officers conduct the prosecution and provide defense counsel to the accused. Contrary to the system used by the United States, MAG officers do not report to the military commanders they advise, but directly to the MAG Corp’s International Law Department and the MAG himself, who is in turn accountable to the Attorney General. Merriam and Schmitt note that this strict separation of legal and operational responsibilities is unusual and not without its practical drawbacks. But the authors argue that it helps to expedite reporting of suspected international law violations up the chain of command and ensure that MAG judgments are made on a strictly legal basis independent of operational expediency. Such legal advice is binding and, notwithstanding a rare appeal to the Attorney General, final. Israel is not an isolated island. It is a member of an international system. … The combat activities of the IDF are not conducted in a legal void. There are legal norms—some from customary international law, some from international law entrenched in conventions to which Israel is party, and some in the fundamental principles of Israeli law—which determine rules about how combat activities should be conducted. The attempt to balance principles of international law, the pursuit of military objectives, and concern for civilian welfare is difficult for Israel, and as a matter of policy it often chooses to err in favor of the latter. In the summer of 2002, for example, Israel’s targeted assassination of Hamas military leader Salah Shehadeh also killed his wife and daughter, as well as 12 other civilians. Dozens more were wounded. According to Dror Moreh’s Oscar-nominated 2012 documentary The Gatekeepers, Israel received intelligence the following year of a vanishingly rare meeting of the entire Hamas leadership in Gaza. The IDF argued that a strike risked a repeat of the Shehadeh fiasco. Shin Bet head Avi Dichter countered that Israel would never get another opportunity to decapitate the Hamas movement in a single stroke. On 7 January 2009, although not required under international law, it was decided as a precautionary measure, in order to minimize the risk to civilians, that the IDF would cease to use such exploding munitions during the Gaza Operation. IDF forces fighting in Gaza were instructed to act accordingly. Consistent with these two events, and contra Breaking the Silence’s view that Israel employs “extremely permissive rules of engagement,” Merriam and Schmitt found that Israel routinely adopts targeting policies more restrictive than those required by international law. Sometimes strikes are called off entirely, even when the expected collateral damage fell well within lawful proportionality requirements. A nuanced appreciation of international law, however, does not survive the feverish tone that informs a good deal of the Western media’s coverage of the Israeli-Palestinian conflict. 2014’s Operation Protective Edge was a short, nasty war ignited by the kidnapping and murder of three Israeli teenagers in the West Bank by Hamas operatives, and a subsequent escalation in rocket fire from Gaza that had already been harrying southern Israel for months. Initially a campaign to end rocket attacks and reestablish deterrence, the scope of the operation was expanded and a ground invasion ordered when a clandestine network of attack tunnels was discovered beneath the Gaza border, built to facilitate kill-or-capture raids into Israel. The principle of distinction is relatively easy to observe when two uniformed armies contend on a clearly designated battlefield. But it is much more difficult when fighting takes place in densely populated urban environments, when a party to a conflict routinely makes unlawful use of protected structures for military purposes, and when—in a tacit recognition of an opponent’s concern for civilian life—it deploys both voluntary and involuntary human shields to deter attacks on legitimate military targets. All of these took place in Gaza. As in previous Gaza conflicts, Israeli attempts to minimize collateral damage during Protective Edge were consistently impeded by a systematic Hamas strategy of using human shields either as a means of deterring attack or producing valuable propaganda images of civilian dead. Hamas and other terrorist organizations transformed hospitals, U.N. facilities, schools, mosques, and civilian homes into weapons-storage facilities, gunfire and rocket-launch sites, command and control centers, communications hubs, intelligence-collection sites, and covers for tunnel entrances. They also routinely conducted a range of military operations in close proximity to these structures. These practices were widely reported by the Israeli press at the time, and firmly established by video and photographic evidence released by the IDF during the war. But NGOs and reporters assessing the legality of Israeli military conduct seldom considered this evidence or brought it to the attention of their respective audiences. For example, when Israeli forces took sniper and anti-tank fire from Al-Wafa Hospital in Shuja’iyyeh, as well as from residences in the surrounding neighborhood, Hamas combatants deliberately made these locations vulnerable to lawful Israeli reprisal. Repeated cease-and-desist warnings were issued by the IDF, followed by instructions to evacuate in anticipation of attack. 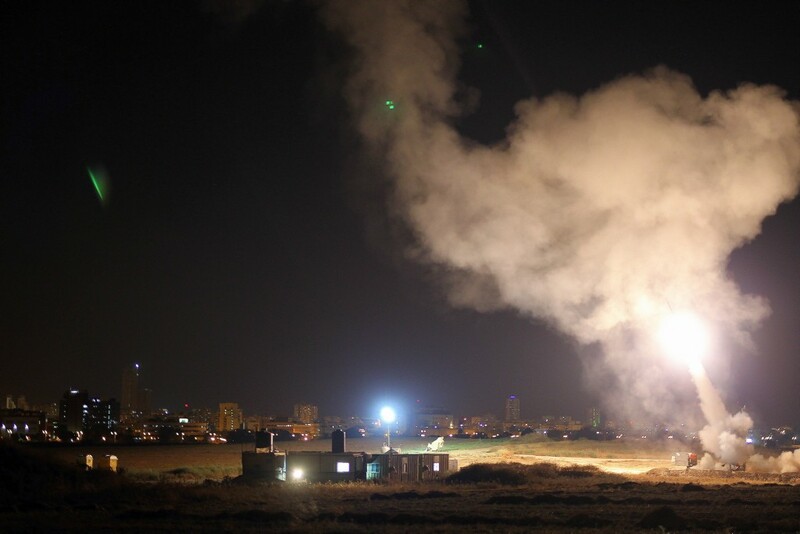 In response to preliminary Israeli strikes on Al-Wafa and two days of fighting in Shuja’iyyeh, Amnesty International issued a press release that accused Israel of committing “possible war crimes” and demanded an “urgent independent international investigation.” The report cited unsubstantiated claims made by a Hamas Ministry of Health spokesman, but made no mention of Hamas’ refusal to distinguish its combatants from the Palestinian populace. Instead, Amnesty’s Middle East and North Africa Director Philip Luther simply declared that “there can be no justification for targeting medical facilities at any time,” demonstrating a stunning ignorance of international law and the military realities to which it applies. Many civilians in Shuja’iyyeh and other areas did not evacuate because they had nowhere to go. All the UNRWA schools and other facilities opened as shelters are overflowing. Issuing warnings to evacuate entire areas does not absolve Israeli forces of their obligations to protect civilians under international humanitarian law. Indeed it does not, but Amnesty seemed unaware of what these legal obligations were and provided no evidence that those obligations had not in fact been met. International law, it should be noted, does not require the IDF to evacuate civilians from an enemy stronghold after giving fair warning of an impending attack, nor to suspend an attack if civilians elect to remain where they are. Nor did Amnesty’s blunt condemnation make reference to the numerous public statements made by the Hamas Ministry of the Interior telling civilians to return to their homes in defiance of Israeli warnings. Two days after the Amnesty press release was issued, having sought and received final confirmation of the complete evacuation of all staff and patients from al-Wafa hospital, Israel destroyed the facility. Secondary explosions appeared to confirm Israeli claims that the site was being used to stockpile weapons. Civilian casualties are a tragic inevitability of the brutal and systematic exploitation of homes, hospitals and mosques in Gaza. While the IDF takes every possible measure to minimize civilian casualties, Hamas and its deliberate tactic of embedding terrorist activities within the urban environment is ultimately responsible. Compared to their size, human rights NGOs make a disproportionate contribution to public perceptions of international conflicts. These charities’ ostensible purpose is the dispassionate defense of universal human rights, and this lends moral authority to their claims and value judgments. Consequently, they enjoy a reputation for impartiality upon which news organizations rely to enhance the credibility of their reporting. This is especially true of allegations of Israeli wrongdoing made by Israeli NGOs like B’Tselem and Breaking the Silence, the latter of which is staffed entirely by former IDF soldiers. But reputations for impartiality should be earned, not presumed. For example, in a recent interview with J-TV’s Alan Mendoza, B’Tselem spokesperson Sarit Michaeli explained that, since its inception, B’Tselem’s goal has been to end the Israeli occupation of the disputed territories, and acknowledged that the organization’s exposure of alleged Israeli human rights abuses in the West Bank and Gaza is intended to bring this about. During the interview, Michaeli refused to describe Hamas as a terrorist organization despite being repeatedly invited to do so. Interviewed on an earlier edition of the program, Breaking the Silence representative Avner Gvaryahu stated that his organization’s goal is also that of ending the occupation. It seems that, having failed to stir an obstinately security-conscious Israeli public into action, both groups have turned increasingly to international advocacy. Ending the occupation may be a worthy political objective, but it is a political objective nonetheless. Since both organizations also consider it a moral imperative, they are incentivized to promote a strict narrative of Israeli criminality and Palestinian suffering in which Palestinian corruption and violence can play no useful role (unless they can be blamed on Israel). 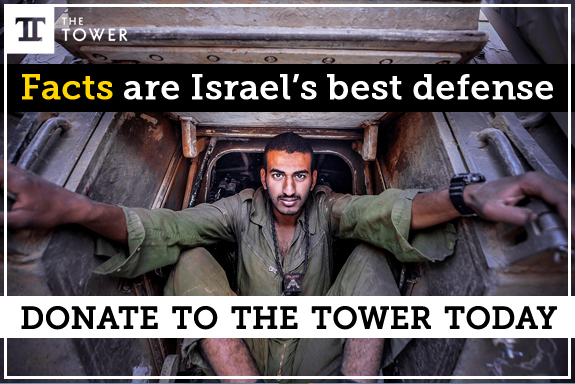 In 2015, the Israeli organization NGO Monitor reported that Breaking the Silence donors were making funding dependent on publication of a minimum quota of negative testimonies from serving and former IDF soldiers. This does not mean that everything either organization publishes is necessarily false. What it does mean is that they should be seen as political advocacy organizations and not disinterested human rights observers. It also means that their claims should be regarded with a great deal of skepticism. Larger international NGOs like Amnesty International, Oxfam, and Human Rights Watch have also increasingly taken political positions on contentious matters of international law. They too believe the occupation is a human rights emergency for which Israel bears full responsibility. So when Israel goes to war in Gaza, the legality of this or that airstrike is seen in context of a worldview that holds Israel ultimately responsible for the fact that there’s a war being fought at all. If these three organizations believe there are any legitimate means by which Israel can successfully fight and win wars against terrorist groups like Hamas, Islamic Jihad, and Lebanese Hezbollah, we have yet to hear from them. Beyond allowing for a rational reassessment of Israel’s much-maligned reputation, correcting the confusion surrounding the meaning, intention, and applicability of international law has larger implications for how we understand and discuss the ethics of warfare and military intervention, the challenges faced by armies fighting asymmetric conflicts in urban environments, and the moral distinction between democratic states and tyrannies. The conflation of the legality of war with the legality of war-making was much in evidence, for example, during the Iraq War, particularly during the Second Battle of Fallujah. NGOs and journalists hostile to the invasion succeeded in turning Fallujah into a byword for Western hypocrisy and inhumanity; “an accusation,” in the words of writer and former security consultant David Paxton, “to be spat at people.” There was comparatively little interest in whether Fallujah was worth liberating or the lengths to which American forces went to ensure operational compliance with international law under extremely challenging circumstances. The implication was that since the war was probably illegal, and there were no weapons of mass destruction in any case, America’s entire presence in the country was ipso facto illegitimate. From a moral (if not a particularly legal) perspective, then, no collateral damage of any kind was acceptable. But international law recognizes that how states or other actors conduct themselves in war is critical, regardless of the rights and wrongs of the conflict itself. There are forces that observe the principles of distinction and proportionality and those that do not; those that strive to minimize civilian loss of life and those that strive to maximize it; those that protect their own civilian populations and those that willfully jeopardize them. In every case, the distinction between the two is a more meaningful indicator of ethics than raw power disparity. Demonstrating this only requires us to wonder what Operation Protective Edge or the battle for Fallujah would have looked like had the military capabilities of the two sides been reversed. Refusing to notice such distinctions dissolves important moral differences between law-abiding states engaging in politically unpopular conflicts, and criminal or genocidal regimes and groups that treat the laws of armed conflict with naked contempt. It was only upon the liberation of Fallujah, after weeks of furious headlines about American war crimes, that harrowing evidence emerged of the cruelty of al-Qaeda’s short rule over the city. There is no MAG or independent judiciary in Gaza to handle complaints from human rights organizations against Hamas fighters. Instead, immediately following the 2014 war, Hamas summarily executed at least 18 Palestinian citizens it accused of collaborating with Israel. Meanwhile, on the anti-war Left and the isolationist Right, a gruesome moral equivalence is now being drawn between Fallujah and Aleppo and between Aleppo and Gaza. “Western bombing of Mosul and Fallujah very similar to Russian bombing of Aleppo,” tweeted the Daily Mail’s Peter Hitchens, “but our targets don’t have the sophisticated PR of Al Nusra.” In The Guardian, meanwhile, Owen Jones declared, “Fallujah itself is a reminder of the moral bankruptcy of those who criticize Western imperialism but apologize for Russia.” Hitchens sought to defend the Russian and Syrian regimes by saying they are no worse than we are, while Jones sought to condemn them by saying they are as bad as we are. 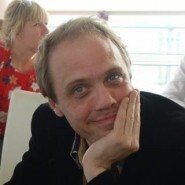 But in both cases, moral distinctions were eradicated in the service of arguments more callous than those they opposed. In Gaza, Israel fought to protect its citizenry from the twin threats of rocket fire and infiltration. In Fallujah, the U.S. fought for the liberation of a terrorist stronghold in a country under UN mandate that was rapidly falling apart as it struggled to transition to democracy. In Syria, by contrast, Assad fights for the survival of his own grisly despotism, while Iran and Russia fight for dominion. Not one of these dictatorships has invited American international law experts to scrutinize its operational processes and rules of engagement, and not one of them is likely to do so. But abundant evidence now confirms that the Syrian regime and its allies have deployed death squads, dropped thousands of barrel bombs into densely populated areas, fired lethal chlorine and sarin gas into residential neighborhoods, and obliterated vast urban spaces with carpet-bombing campaigns that make lawful notions of proportionality, precaution, and distinction meaningless. Nearly 500,000 people have lost their lives and over 11 million have fled their homes since the Syrian Civil War began in 2011. Whether or not the various rebel groups in Syria bear comparison with Hamas or al-Qaeda, it ought to be obvious that any equivalence drawn between Assad, Putin, and Khamenei on the one hand and Netanyahu, Sharon, Bush, and Blair on the other is obscene and unserious. If a dictator like Assad were no worse than a democratic president like Bush, then there would be no point or purpose in a revolution to replace one with the other. But is the popularity of such claims so surprising when news reports, and the NGO press releases on which they rely, constantly promote them? At Human Rights Watch, we always recognized that open, democratic societies have faults and commit abuses. But we saw that they have the ability to correct them—through vigorous public debate, an adversarial press, and many other mechanisms that encourage reform. … When I stepped aside in 1998, Human Rights Watch was active in 70 countries, most of them closed societies. Now the organization, with increasing frequency, casts aside its important distinction between open and closed societies…. Israel, with a population of 7.4 million, is home to at least 80 human rights organizations, a vibrant free press, a democratically elected government, a judiciary that frequently rules against the government, a politically active academia, multiple political parties, and, judging by the amount of news coverage, probably more journalists per capita than any other country in the world—many of whom are there expressly to cover the Israeli-Palestinian conflict. Today, we are living with the fruits of this drift in emphasis and attention. NGOs have not merely cast aside the distinction between democracy and dictatorship, they have capsized it. In spite of the vilification of Israel, Israelis still fight because they have no choice. But Americans, oceans away from the bloody mayhem of the Middle East, feel under no such obligation. For five years, Americans sent their tax dollars and their young men and women to the Middle East in support of a free Iraq, only to be told by the world’s most respected humanitarians that they were no better than the savage Ba’athists they had overthrown. Those who accepted the accusation were ashamed. Those who did not were resentful. And so they elected Barack Obama, who pledged to keep the country out of further foreign conflicts. The price of this American withdrawal from the region has been the devastation of Syria and the surrender of Iraq as far less scrupulous actors have filled the vacuum—to say nothing of the ensuing refugee crisis. Liberal democracies are not just valuable for the freedoms they afford their own citizens, but for the way in which they behave. The reckless practice of holding them to higher standards than those demanded of totalitarian actors, and the misrepresentations of international law this requires, has produced a morally disfigured view of the world and of the ethics of military conflict. It has made it harder for democracies to defend themselves or sell potentially costly humanitarian interventions to their own war-weary publics. It has helped to undermine the post-Cold War liberal order and empowered its most brutal and cynical enemies. Arresting this slide requires us to recover the moral clarity and self-confidence described by Bernstein in his Times article. The costs of continued confusion are already steep, and they are still rising.